Oh Malou, you just answered my prayers! I was thinking of baking this for Christmas, but my current recipe is not so dependable. But you,my friend, I trust all your recipes. And I will surely try this one...it's a favorite here. Thanks for sharing a family recipe that's a real treasure! Welcome back. Glad to see you blogging again. This time you are sharing your Nana Ming's classic recipe. I love classic recipes that are handed down from one generation to another. Betty Ann: I could vouch that this is a good recipe... i made it twice since my lesson with my Nana Ming. Sandy: I'm tickled pink whenver I read comments such as yours. It's geniune and it comes from the heart. I know I write, I blog because of friends like you. Mary: Thank you. Im glad to be back and grateful that Nana Ming unselfishly shared her classic recipe. Munatycooking: thanks for the shoutout and for the blog love. I sincerely appreciate it. Cheers! Your Nana Ming is a superstar and she taught you well. This is one of my favourite cakes. 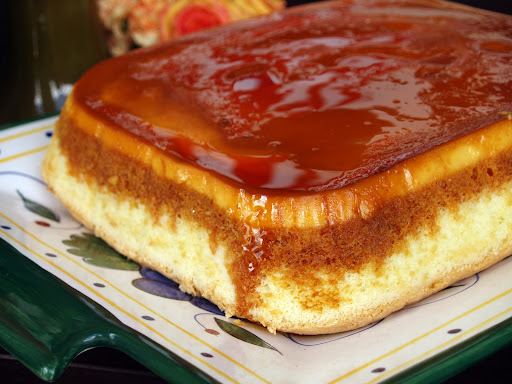 Although I make iced cakes, I actually prefer simple cakes, preferrably with flan on top. adora: Yeah your baking skills are notches higher compared to mine haha... but glad to know that you like simple recipes. hello there! the size of the pan that you could use is 9x13. In this picture, I used a tin baking pan so it was bigger. Thanks for asking and good luck lemme know how it goes. Thanks for featuring this. I would love to have a slice of this. It's been a long time since I had my last slice of something that I really love. YUM! 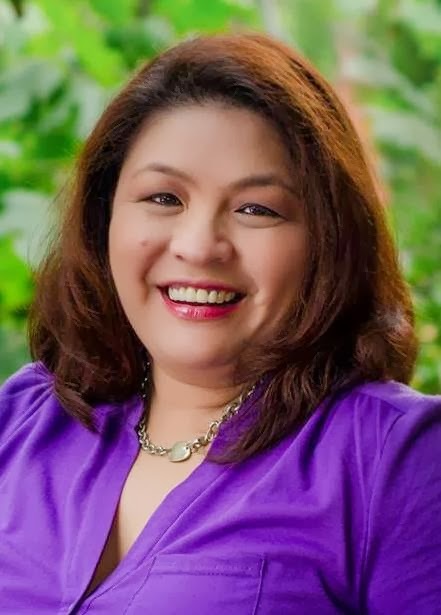 Ms. malou ilang ounces o ml yung 1 can of condensed milk at 1 can of eveporated milk|? Hi Jenny: You're most welcome. Come over for a slice haha. Hello there: Thank you for the kind words. Please extend my gratitude to your sister as well. I truly appreciate it. With regards to your question: You could use an 8x8 pan. With 1/2 recipe, 3/4 of the time would be safe but I would recommend for you to watch it after 30 minutes. When the top becomes firm do the toothpick test: Insert the toothpick in the middle of the pan and when it comes clean or with a little crumbs then it's done. Good luck and please let me know if you have other questions. Thank you! OMG I can't get this cake out of my mind. I'm carving out space to make this tonight even if I really should be making my embutido! Two words. Oh My. That is all. Oh my lord. Now, I understand why Pica went straight to her kitchen to bake this! Perfect for the Holidays!! Delicious, Malou!! wow this cake is amazing you made her proud now i am opening facebook to link and tweet he he just when I thought i was going to bed ! Oh my! Malou, this cake looks absolutely divine! Thanks for sharing your story with us. This cake looks amazing I can only imagine how fantastic the mahjong cake would look. I always think the tiles are so pretty and in cake form must have been beautiful. Nana Ming is amazing! This is so wonderful Malou and you did a beautiful job with it...so creamy and gorgeous! 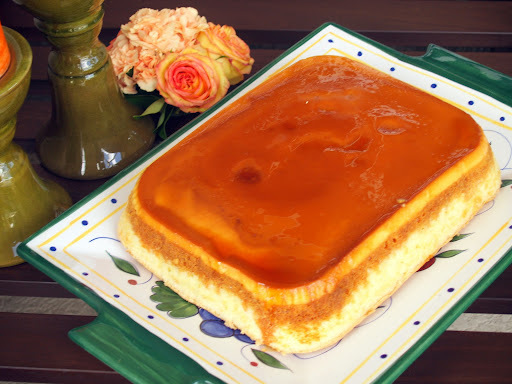 I love flan but the servings are always too small for me. :P I'll be cutting myself a BIG chunk of that! OMG! 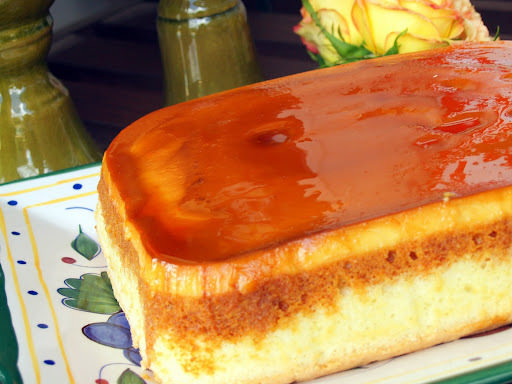 Malou, I am drooling for the most beautiful custard cake I have ever seen...seriously. I bookmarked the recipe...it's a must make asap! The cake is so moist, super custardy, and the caramel topping is amazing, and "out of this world"
Congratulations for a true "work of art"...and a "labor of love!" When you say "custard," I come-a-calling. And that is a beauty - indeed a classic. Speechless! Omg this custard cake looks amazing! I bookmarked this recipe and surely I will give it a try! I think anyone about to be served a piece of this cake will be so excited... I'd scream with joy! What did I do wrong? The top was firm and looked done after testing with a toothpick but when I transferred from the pan, the custard was too liquidy and just ran all over the place. I'm so sorry to hear that your custard cake didn't turn out to be ok The procedure calls for you to use a baine marie to bake it. This consists of placing the baking pan in a large, shallow pan of warm water. This is the reason why the custard mixture didn't settle or became firm. If you try to bake it again don't forget to use a baine marie. I made the same mistake the first ime I made it. So as a result, I always put the bath of water as soon as I prepare the ingredients. That way I don't forget it. I hope you still try to bake it... good luck. email me at malounievera@gmail.com for any questions. thank you! Thanks for responding Malou. I didnt forget the baine marie but maybe the water I used was not warm enough - could that be it? The cake turned out great though and my little kiddies loved it! I shall try to redo and hope for the best! Thanks again. This looks absolutely adorable! I'd love to try it! No wasted egg whites! perfect! 1. What is Baine Marie? 2. I do not have a mixer, will beating the eggs by had with a whisk/fork work? I'm a novice when it comes to baking. I've baked a few cakes, cookies and muffins, but haven't tried stuff like this! Kudos to you and Nana Ming! Hello! thank you for dropping by. Here are the answers to your questions. baine marie is basically a double pan - one solid pan which sits over a second pan of boiling/simmering water. if you don't have a mixer it could be done however it's a lot of hand-work beating the eggs. The eggs should be beaten and should be stiff so it may take some time to do this. Thanks for the kind words and I hope to see you around Skip to Malou. You could also join us in my FB page so we could have more exchanges. what do u mean fold the cake mixture into meringue mixture?? Hi there, thank you for dropping by. To answer your question, if you notice on the procedure and on the ingredients I specified "For the cake" and "for the meringue" right? So when I say fold the cake mixture into meringue is the process wherein you simply mixing ("fold" technique) both the mixtures together. i'd really love to try this. may i ask how big of a can did you use for the condense and evaporated milk? i love your blog by the way. i bookmarked it because of all the recipes. Hello there. Sorry for the late reply, it's one of those holidays where your schedule get crazy. thank you for the reply, i gave it a try and everybody went crazy for this. a great big thanks for sharing this recipe, it's now my family's favorite. God bless. it sounds great ,it looks good! do you know of a cake made from devil's food ,baked with a custard .its baked up - side down.when the cake is baked,turned over it has custard on top.really a moist cake ,I would like the recipe . thank you for the kind words. they get me going! I would really love to try this recipe! May I know how deep your 9-inch baking pan is? And how deep the pan of boiling/simmering water is? Thanks! I used a 2 inch tray and filled it with water 3/4 full. Thank you for asking and good luck! Hi! Miss Malou warm or hot ba ang water na ilalagay sa baine marie? Kailangan bang palamigin muna sa ref bago isalin para buo cya? 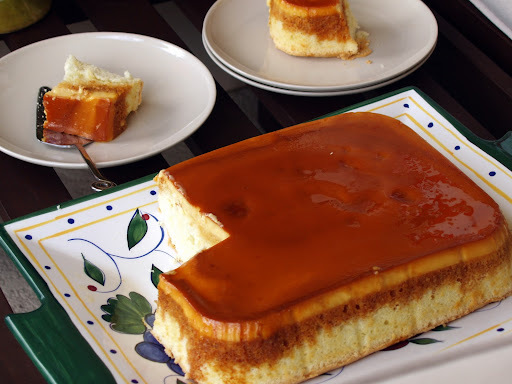 I tried several recipes of custard cake and all is failed,kapag sinalin ko na ay masyadong malambot ang custard at mamasa-masa ang mamon kaya bumabagsak cyang parang tunaw.Hindi ko alam kung saan ako nagkakamali pero sinusunod ko ang lahat ng instructions.Gusto ko talagang makagawa ng custard cake gaya ng nasa pic mo kaya sana matulungan mo ako.thank you! My daughter and I tried this recipe the other week. It was simply awesome. We'd used a 9" round pan in a 9" square pan as baine marie. As you can guess, the round pan was too small. I had to transfer some of the batter into another pan but even then the cake was literally over the top. Before we started I looked at your pictures to try to determine the best sized pan to use. I decided on the round pan since my 9" square pan is somewhat shallow. Can you please advise dimensions (l x w x h) is best to use to ensure that all the batter goes into one pan. The family is eager for us to give it a second try. Hi thank for the recipe! I will make this tomorrow. Question what size are your cans (milk)? Thanks! Thank you this looks delicious! I will make this tomorrow. Question. What size are your cans of milk? Never mind. I already found the sizes! Thanks!